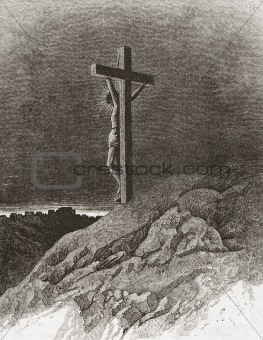 Image Description: Crucifixion of Jesus. Illustration source: Harper's Monthly Magazine may 1877. L 15.2 x 19.7 cm 6.0 x 7.8"
XL 18.7 x 24.2 cm 7.4 x 9.5"